A nice combination of richness and freshness. The nose shows dusty vanillin notes from the barrel with complex lemon, dried sage, baked apple, spiced pear, gooseberry, green melon, paw paw and a hint of flowers. On the palate there is crisp acidity giving zing to support the creamier texture from the oak and lees that is weaved in nice and subtly. Lime infused caramel along with peach, raw black currant, exotic citrus and tropical fruit linger on the long finish. Pair this with a seafood rich clam chowder or chicken poached in cream and white wine. — Rhys Pender, Master of Wine. The 2012 growing season was an excellent one: exceptional weather with temperatures that were consistently warm, and never too hot. This resulted in optimal flavours, sugars, acid and pH developing in the crop. 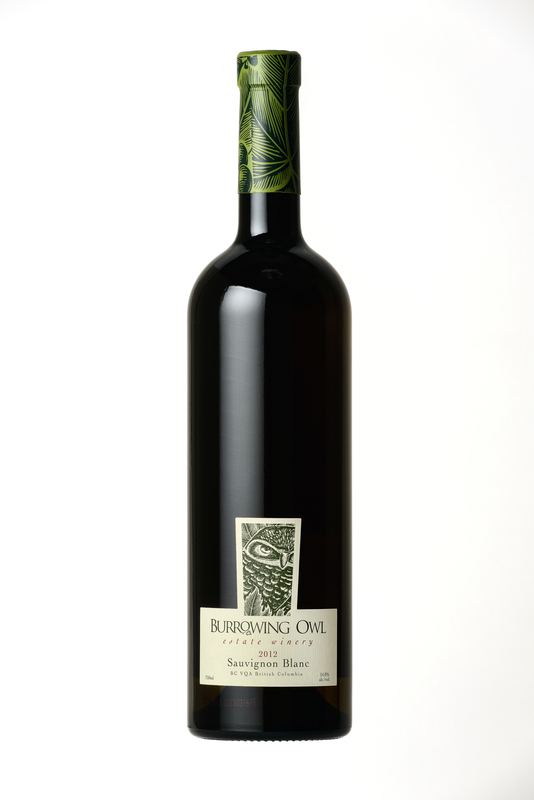 Grapes for our 2012 Sauvignon Blanc were hand harvested in early October from Burrowing Owl's vineyard in Keremeos. This site was specifically chosen for Burrowing Owl's Sauvignon Blanc production, as it is perfectly suited to the Sauvignon Blanc varietal. After harvest, the grapes were cold soaked before the fruit was whole cluster pressed and the juice drained by gravity flow into stainless steel tanks and allowed to settle overnight.The wine was left to ferment using native yeast; 64% in French oak barrels and 36% in stainless steel.The wine was stirred on its lees, and aged for 9 months on the lees before final blending and bottling.